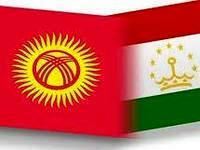 Culture Days of Tajikistan will be held in Kyrgyzstan in 2014. It was announced on 16-17 of May during the Kyrgyz-Tajik intergovernmental commission for the integrated discussion of bilateral issues on the results of the meetings in 2013 in Dushanbe. According to the press service the Ministry of Transport and Communications, the Ministry of Culture, Information and Tourism KR were tasked to continue to work to strengthen bilateral relations in the field of culture. State Agency for Physical Culture and Sports of the Government of the Kyrgyz Republic jointly with the Committee on Youth, Sports and Tourism of the Government of Tajikistan were requested to study the issue of signing an agreement on cooperation in the field of physical culture and sports.